"We should take the topic “digital” calmly." That was promoted during the start of the 5th LN Conference in Minden in November by Hubert Romer, Managing Director of WorldSkills Germany e.V. Each of the following six speakers should emphasise in different ways that digitisation will not make frontal teaching - and even more so the trainer – completely obsolete. In the end, one central insight probably remained in the minds of all conference participants: Networked learning will change the way we teach significantly. "Good technology is a significant building block, but not an end in itself. Rather, we have to change the way students learn," emphasised headmaster Carsten Huge. Learning on screen is the established standard at his school, the classic book was already abandoned in 2009. "The bare consumption of instruction by learners is a thing of the past," explained Huge, "technology helps students to follow the learning path independently. 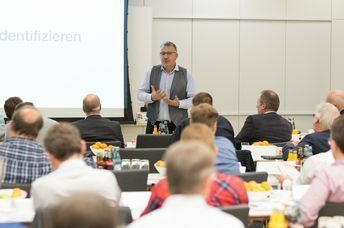 Volker Löbe from VW Campus Digitisation sounded very similar: "For us, the trainer is primarily in demand as a digital learning creator. His new main task is to point out learning paths and, less often, simply to instruct. He is using catchwords like "experiential learning" and "learning organization" to summarise this development. WorldSkills Germany Managing Director Romer emphasised in his remarks that new technology is the necessary beginning, but not even the end of digitization: "If we want to continue promoting top talents, we also have to understand the changing values of young people," he summarised his experiences from the WorldSkills competitions. In the direction of the trainers he called on: "Digital is not the loss of humanity, but new values also change the way we will learn. We need to accept that." These speeches were followed by controversial discourses by moderator Andreas Pieper from the German education bureau BIBB, who was happy to lead lively discussions with the committed plenum. Exchange and networking - central motives of the conference - continued during the breaks and at the evening event at the foot of the Kaiser Wilhelm Memorial at Porta Westfalica. We can change the methods of teaching to the great advantage of the trainees - this could be the conclusion of the two-day event. 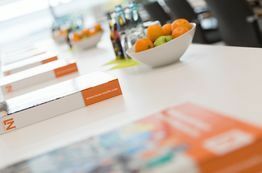 "For my part, I am leaving this event with a lot of energy," Peter Hertl, Head of Industrial Training at EagleBurgmann in Bavaria, emphasised at the end of the event. Where digitisation will lead us to, however, had to remain open in Minden and the discourse will remain being vivid.